Entering this season, the Cinnaminson High School marching band had hopes of coming in first in the Cavalcade of Bands, a non-profit organization that stages local and regional competitions, where the band placed fourth in last year’s final championship competition. 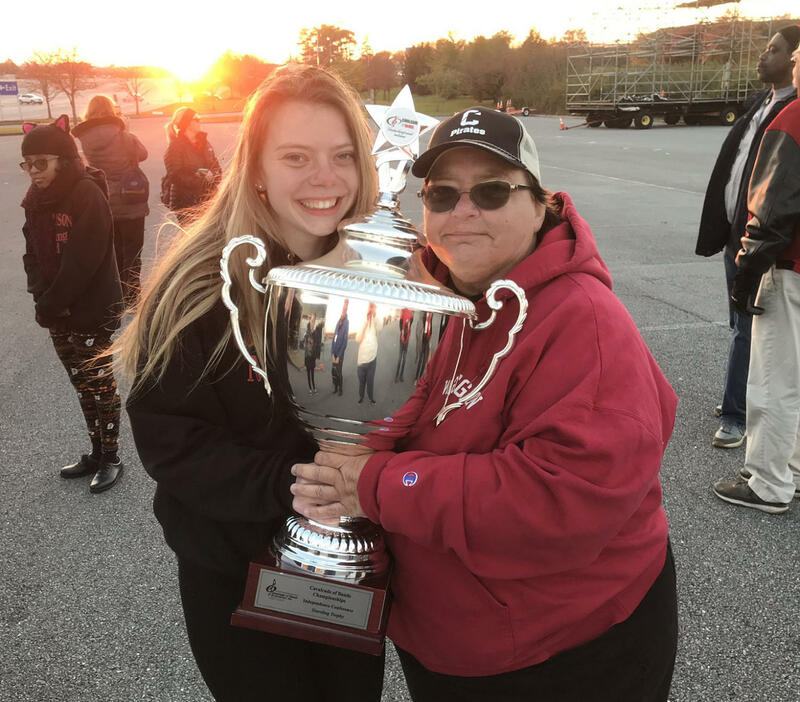 Coming into this year, the marching band was once again dominant throughout the competition schedule, having placed first in every competition once again entering the New Jersey Calvacade of Bands State Championships on November 3. The amazing part of the band is that its small size of only 17 members did not dampen its spirit despite their size. Their dedication and teamwork has earned the group high marks for best music and best visual by judges in each competition. Currently, because of the size of our band, we compete in the Independence class where bands have between 1-39 members in the entire band. With their small size, there is a large sense of obligation for each individual student especially since mistakes are easier to find amongst bands with less than a hundred members. However, the students remain confident and well-praised with the duties they have to carry, such as not only playing an instrument, but learning color guard as well, considering there was only one color guard member at the beginning of the season. With her students, Ms. Knisley herself has earned recognition and new opportunities. “She’s been offered to teach at the New Jersey Music Educators Association (NJMEA) to help smaller bands project their sound, and to use their sources,” Marinelli says. Some of the big events for our school’s band this season were the grand re-opening of Walmart and Rush School’s Halloween Parade that took place on October 31st. However, the biggest goal was for the team to win the NJ State Championships at Vineland on Nov. 3 and the overall championship for the Indepedence Divison at the Calvacade of Band Championships in Hershey on Nov. 11. The team handily outscored all 11 members of their local Independence Division at the NJ State Championships on Nov. 3 when it achieved a 92.65 score, a full 4.5 points above the next competitor, Palmyra. Then, the team traveled to Hershey and once again dominated the competition to the tune of a 93.7 score at the Regional Calvacade of Band Championships to end as overall division champions out of 15 teams from the entire state of PA and NJ. The next closest band was Columbia Borougg with a 91.2 from Pennsylvania. Ms. Knisely was thrilled for the kids and the entire arts program at Cinnaminson with the finish. “Its a great feeling knowing that the 17 performers that were out there on the field all worked together as a single unit and just to know that they had enough faith in each other to be able to do that and just watching them from the sidelines, I was done with it all. I gave it to them and they had to do with it and they did a very excellent job in this nearly flawless performance, and it’s really great to see that all this really hard work paid off. 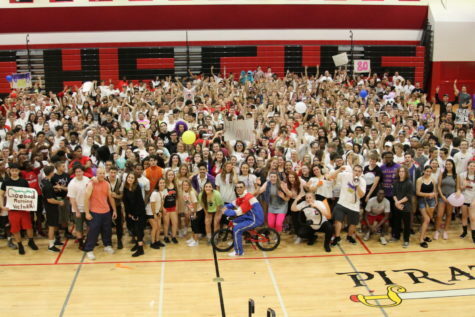 it was a great feat being the very smallest – and i mean by a lot – the very smallest group, to come away with such rewards is very satisfying for Cinnaminson High School,” Ms. Knisely said. Ms. Knisely went on to thank the students for their incredible accomplishment. The championship was the second in its history for CHS, after winning the title in 2004.